There are times in our lives where the ones we care for and love experience grief and heartache and it can often be difficult to express that you are thinking of them and how much you care during such times. Flowers are a way to express your sincere condolences and thoughts of hope for a brighter day as they create a heart-warming and peaceful display for any table or ceremony. The Lush Bouquet (formerly Flowers By Fax) offer an array of sympathy flowers to reflect your message of kindness and compassion. 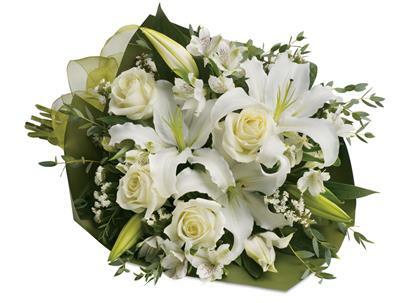 We can deliver arrangements, sheafs and tributes to the family home, service, funeral home or church in Narellan, NSW or nationwide.